I had visited a cat cafe in Singapore, and they have been popular even in few European cities. Unlike the good old continent, Japan is well known for having lots of themed places, some of which may be a little out-of-the-ordinary. Ranging from dog cafes to coffee outlets dedicated to turtles and snakes, Japan have always enjoyed taking things to the next level. And sometimes, regarding animal cafes, the rift between our culture might be too wide. 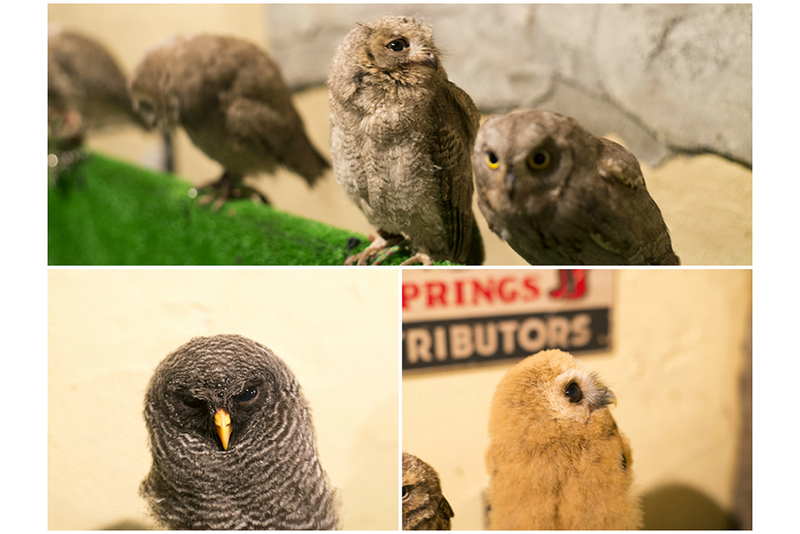 Upon entering the owl cafe, we were hit by a whiff of ammonia. At first we weren’t greeted by the staff, who was busy trying to catch a barn owl, that managed to torn the limiting rope from its legs. At the corner, a group of over-excited Japanese were petting the rather bored owls. The Barn own that got the staff running around. The second room was larger and brighter, but you could still feel the scent of ammonia. 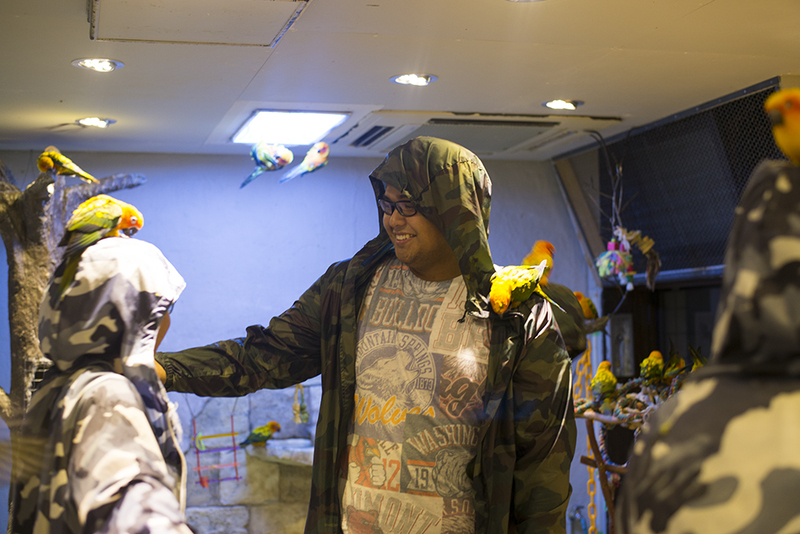 We were advised to put on a military-themed jacket over our clothes, before entering (so we weren’t going to be pooped by the parrots). We were trying to navigate our way among the squawking parakeets, who fought to perch on our heads. Those who couldn’t find room there, settled for the less attractive shoulders, hands and back. I could feel how one parakeet was picking my hair, while Dilyan was struggling with an extremely hungry one, that was biting his fingers. Although we enjoyed the company of the colourful parrots, we struggled for fresh air and soon went back to the entry room of the owl cafe. While the parakeets were flying around freely, the owls were chained to a pole. They were standing next to each other, arranged by size. The baby owls were curious and were trying to bite our fingers each time we tried to pet them. 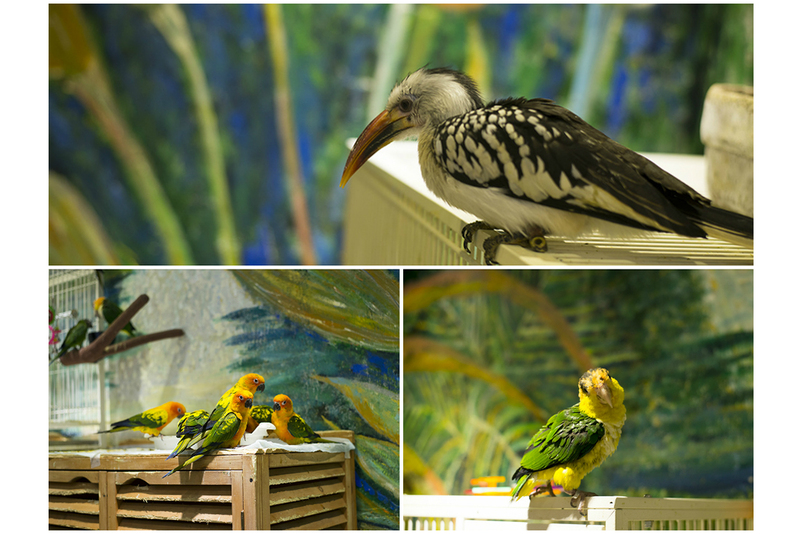 The larger birds didn’t had any interest in the surrounding visitors. If you want to enjoy a cup of coffee, the owl cafe is not the place for you. Due to hygienic reasons, the only refreshments served, were few types of bottled soda. After all nobody would like to end up with bird poop in their coffee. 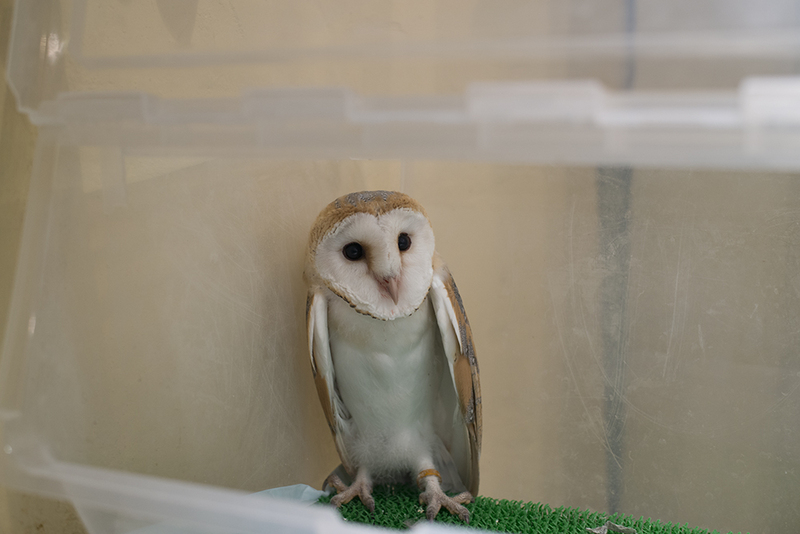 But if you like birds and would like to immerse yourself in the unique Japanese culture, then you will enjoy your time at the Asakusa Owl Cafe.